Here is a causal outfit that could very easily be converted into a work outfit. 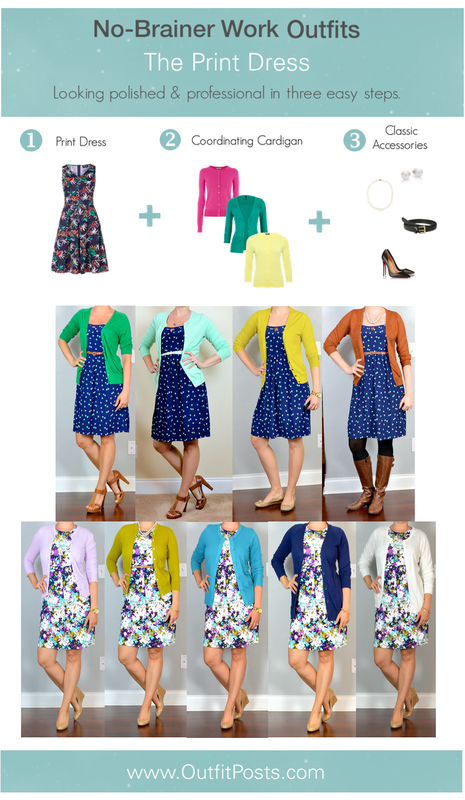 Patterned top, colored cardigan and neutral bottom – my basic work outfit formula. 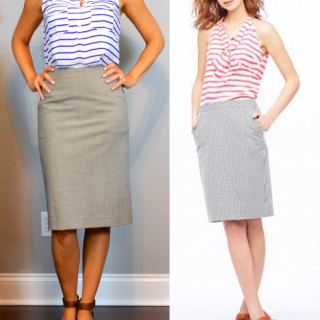 But by adding shorts instead of dress pants – it’s a pulled together casual look instead of cube dwelling garb. 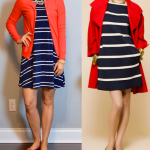 As always, love how you put together this look! Great outfit. I love how casual yet elegant it looks. Great for running errands and after my son. I like yours better than the inspiration photo! Great outfit! So cute! My favorite blog.